Monster Road explores the wildly fantastic worlds of legendary underground clay animator Bruce Bickford. 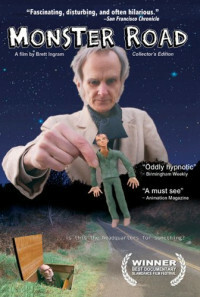 Tracing the origins of his remarkably unique sensibility, the film journeys back to Bickford's childhood in a competitive household during the paranoia of the Cold War and examines his relationship with his father, George, who is facing the onset of Alzheimer's Disease. 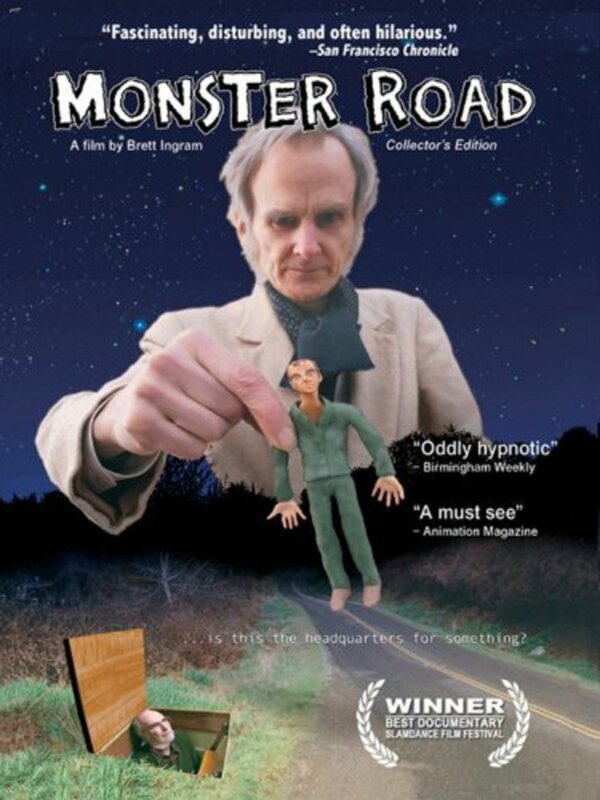 Bickford's films, especially the dark and magical clay animations he created for Frank Zappa in the 1970s, have achieved cult status worldwide. Entirely self-taught, the 56-year-old Bickford works alone in a makeshift basement studio in his house near Seattle. Bickford's father George, a retired Boeing engineer of the Cold War era, is the other main character. George's talent for maximizing the space inside airplanes and missiles parallels his son's animations, which often contain dozens of inch-tall figures fighting battles on a tiny set. George's wondrous musings about the universe reveal a deep admiration for the implicit architect of such splendor while atheism prevents him from admitting the possibility of a God. Along with the wonder of creation, George considers the pain of a life spent disengaged from his family and centered on the imperfections in those around him. Regions are unavailable for this movie. Click the "Watch on Netflix" button to find out if Monster Road is playing in your country.